MV AGUSTA 125CC TURISMO "C"
Two versions of the 125 “C” were available, Turismo and Sport. The differed in certain equipment. Both were available in bright red or black finish. 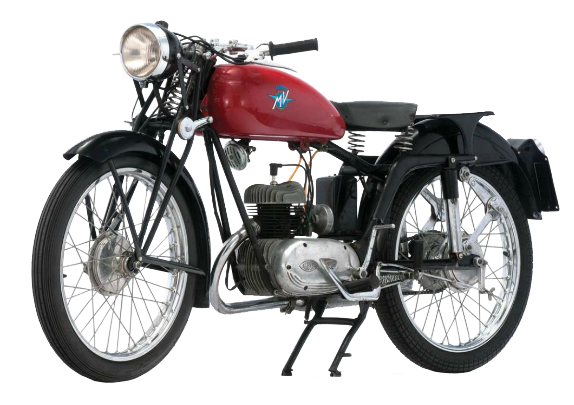 With the release of this model, MV made what Italians call “un salto di qualita” (a leap forward in quality). The buying public, who flocked to MV Agusta dealers, appreciated this improvement. Sales were strong, allowing MV Agusta to pursue a strong racing program. 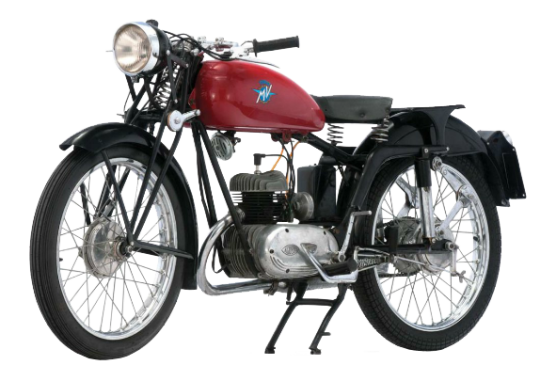 With significant sales of the road-going motorcycles, the high profile racing team would not have existed.